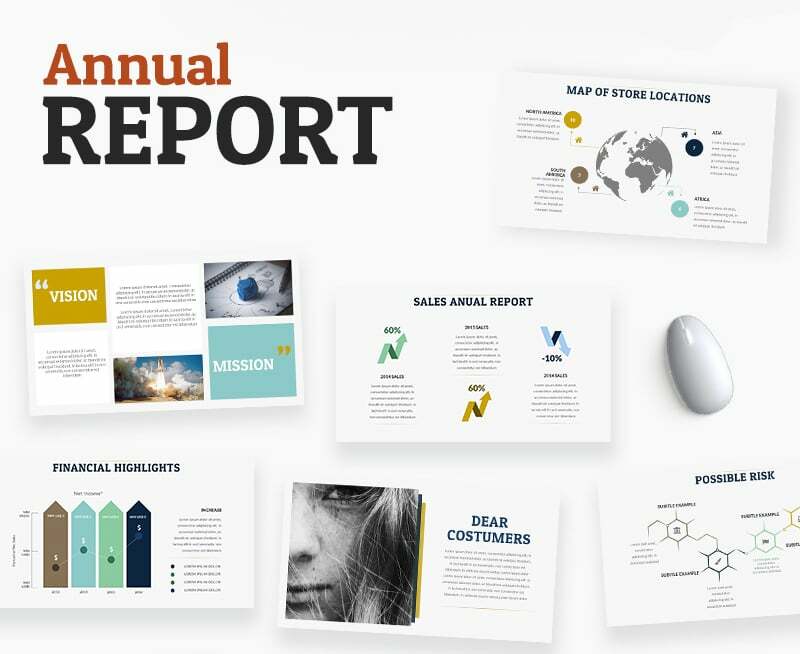 If you want to create an annual report that will captivate your readers or listeners, you need to arrange information in a clear and pleasant to the eyes manner. At the same time, it doesn’t matter what kind of report it is, an annual company report, an annual sales report, budget, costs, or any other official document. Luckily you don’t need to have special arts education to represent your work in a beautiful and professional manner. 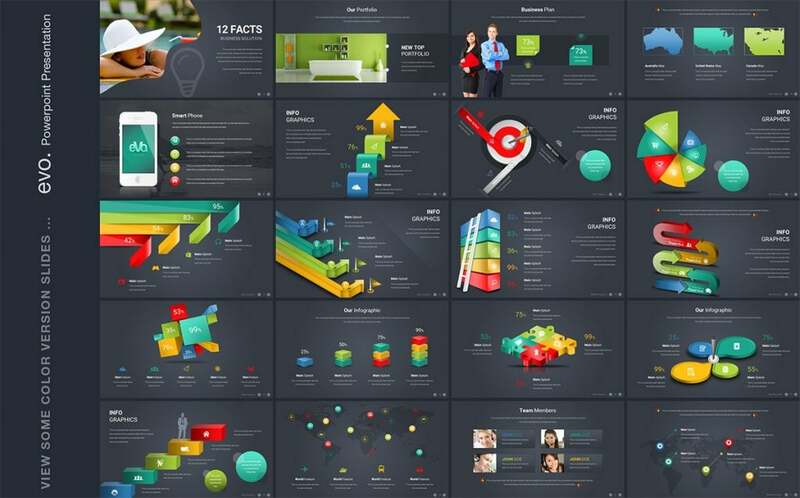 With our collection of Powerpoint templates, creating stunning reports can become extremely easy. To make your data look juicy you can choose bright colors, creative elements, and high-quality graphics. Check out these examples to get some inspiration! Shaping your business achievements into a single presentation that will impress the audience may take a lot of time. Unless you have a ready for work set of tools. 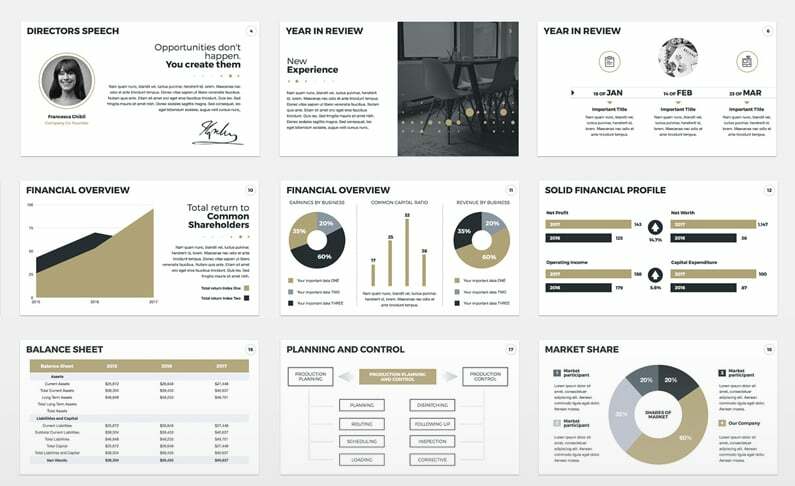 Annual Report template includes all the unique slides you may need to create a compelling presentation. The strict color scheme makes every slide look professional and a mass of infographics is pretty clear and understandable. One template to rule them all. 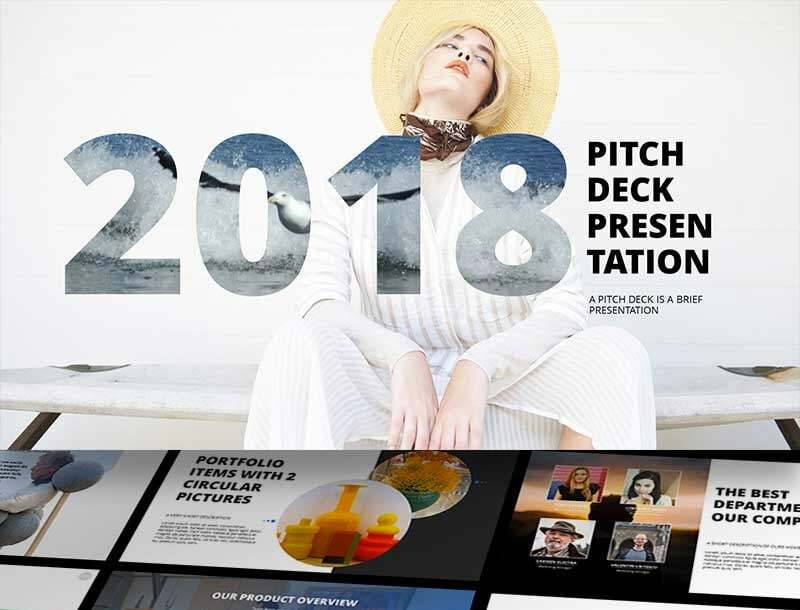 If you want to present your business to a partner or a client – you need this template. It has all the slides you could use to impress the audience and make it understand you are worth working with. 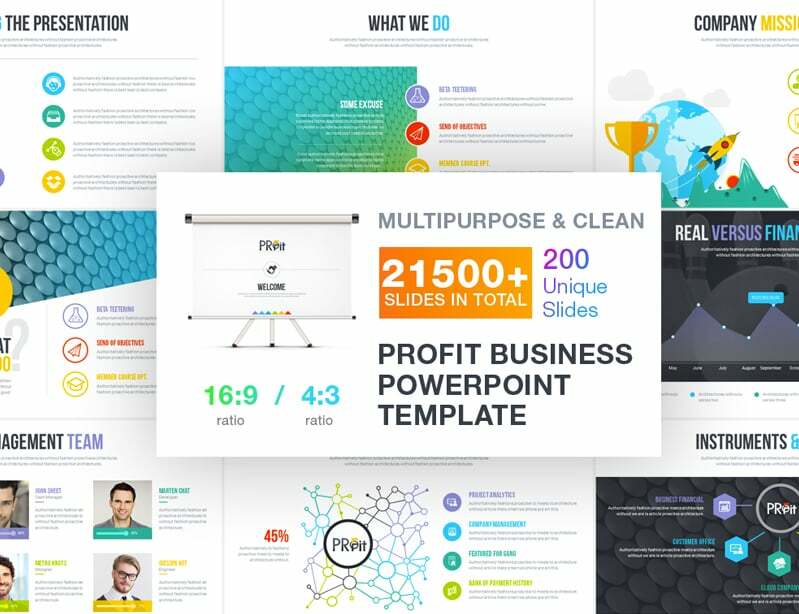 The Complete Business template is easy to maintain, contains illustrative diagrams and eye-catching design. The number of slides in the presentation is unlimited, so you could show everything you have without any limitations. Perfect template for inner company use. All the infographics could be made with built-in tools, so you don’t need Photoshop or Illustrator. You could re-shape, move or delete every object on the slides and add your own pictures simply dragging them to the slide field. Or you could leave it as it is – just add your logo, text, and change the infographics data. This template will ideally fit for the presentation of a fancy startup. All the slides are 100% vector and their Aspect Ratio is perfect for wide screens. The backgrounds of the slides complement stylish graphics objects, multicolored diagrams, and comparison tables. And after you download a template you’ll find an understandable help guide in the pack, so creating a presentation will be easy-peasy. When we talk about business, Wall Street would be first to come to mind. Strict and stylish costumes, financial newspapers – this template is made in “old” Wall Street style. Photos in Time-magazine style will complete the composition and help you to show your elegance to the audience. A perfect choice if you want a business solution of a premium quality. 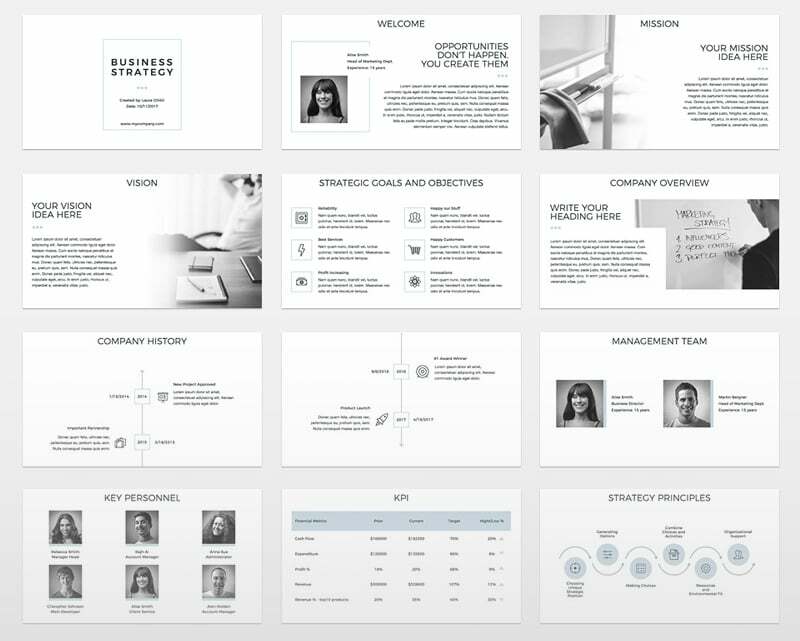 A vivid and original premium presentation template for a company or agency with a modern approach to business process organization. It has everything to attract attention – from bright colors to comprehensible infographics. One of the main advantages of Business Plan template is the simplicity of replacing the graphic objects that will allow you to change the layout according to your taste in just a few seconds. An annual plan schedule calendar that you make in this template will not only look opulent but also let you avoid additional explanations. 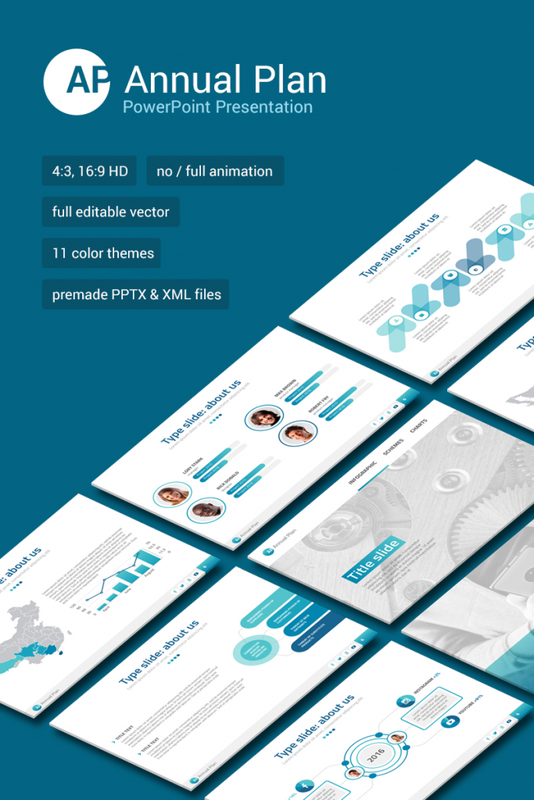 Smooth shapes and simple color scheme outline the essence of presentation. You can change the background from light to dark and change illustrations simply dragging and dropping them to the appropriate place. 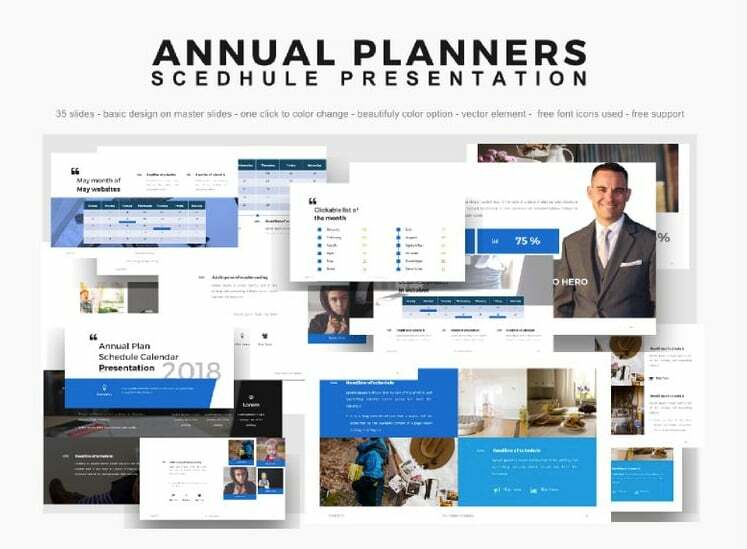 The Annual Planner 2018 template is a choice of a business person that knows exactly what he wants. This template is like a Zen piece of art. Nothing redundant, just pure, concentrated sense. An ideal solution for a business person that has a perfectly clear vision of company’s strategy and plans.Business Strategy template is based on high-quality graphics and includes various 4PS models to expand your opportunities. Perhaps, the best universal template for startup public display. Vivid, but not overcrowded, simple, but attractive. Despite using all 6 basic colors of specter it doesn’t look childish, but stylish and up to date. 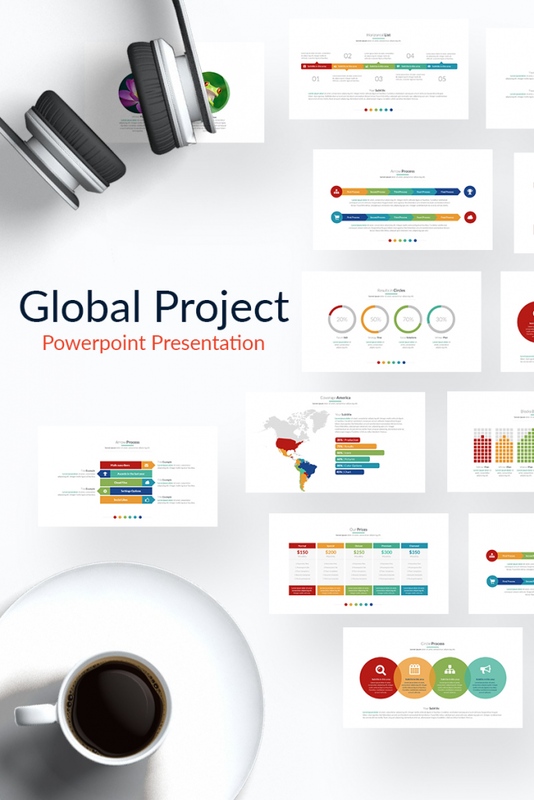 Global Project template has a very fresh and smart visual concept. All elements are editable and a whole template is Slide Master based which speeds up your work with it. Every slide of this template looks like a page from a glossy magazine. Cool 3D images jump out the screen and catch all your attention. 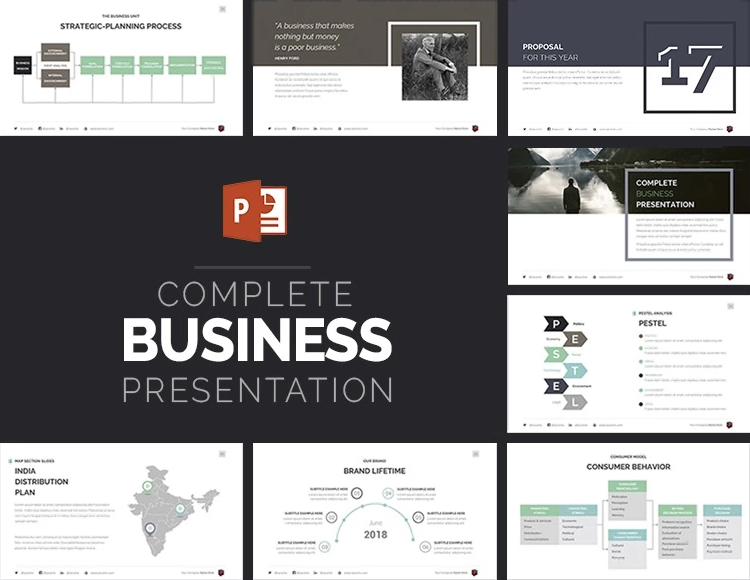 An audience will certainly remember a business presentation made via this template. There are light and dark versions and both are luxury and impressive. All 3D objects include animated effects, so your presentation will be exceptionally modern and stylish. A good presentation is a key to success. Appropriate template and presentation style will highlight the main advantages of your speech and reduce weaknesses. So, choose carefully and go get them, tiger!